Stocks stalled Tuesday amid mixed earnings results and deal chatter. The Dow Jones Industrial Average was down 4 points, or less than 0.1%, to 23541 in recent trading. 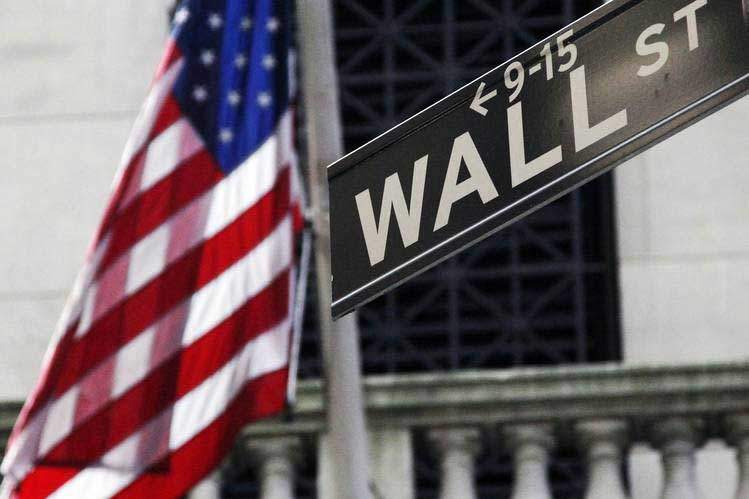 The S&P 500 declined less than 0.1%, while the Nasdaq Composite shed 0.3%. Stocks swung on a batch of earnings reports from travel companies such as cruise-ship operator Royal Caribbean Cruises, Priceline Group and TripAdvisor. Several deals proposed on Monday continued to move shares of chip makers and media companies. “Put together a lot of speculative M&A transactions and earnings and you get a good cocktail to move markets,” said Michael Scanlon, a portfolio manager at Manulife Asset Management. Online travel companies Priceline Group and TripAdvisor fell 12% and 18%, respectively. Priceline lowered its profit outlook for the remainder of the year, overshadowing better-than expected sales and earnings. TripAdvisor missed revised sales estimates as it struggled with a faster-than-expected shift toward mobile. Shares of Royal Caribbean Cruises rose 2% after the cruise-ship operator reported better-than-expected profit. While that helped lift other leisure companies, including Carnival and Norwegian Cruise Line Holdings, the broader consumer discretionary segment was weighed down by the declines among online travel companies. Meanwhile, Broadcom shares fell about 2% as investors continued to digest the chip maker’s $105 billion bid for Qualcomm, which gained more than 1%. 21st Century Fox added about 2.9% after reports that Walt Disney had held talks to purchase a large chunk of the company’s entertainment business, though those talks have since cooled. Shares of Disney added 1.8% in recent trading. In 2013, media mogul Rupert Murdoch split his media empire into News Corp, owner of The Wall Street Journal and other publishing businesses, and 21st Century Fox, home to the major entertainment assets. Robust corporate earnings have helped push stocks to fresh highs in recent weeks. More than 80% of the companies in the S&P 500 have reported results for the third quarter so far, according to FactSet, with many reporting upbeat results on revenue growth. “People put a higher multiple on revenue-driven growth” than companies growing earnings through cost cuts, Mr. Scanlon added. Still, not all investors believe the latest rise in equity valuations can be supported over the longer term. “What is slightly concerning to me is that much of earnings upside has come from energy and materials, and I don’t know that environment will be sustained,” said Marc Zabicki, president and chief investment officer at Bower Hill Capital Management. The Stoxx Europe 600 was little changed in afternoon trading. Elsewhere, markets in Japan, Hong Kong, Australia and Taiwan hit multiyear highs, supported by the climb in energy and materials companies. Japan’s Nikkei rose 1.7% to levels last seen in early 1992 and Taiwan’s Taiex rose 0.5% to its highest since 1990. Hong Kong’s Hang Seng’s hit a 10-year high, supported by gains in Chinese oil majors and index heavyweight Tencent. Tencent spinoff China Literature goes public Wednesday. Australia’s benchmark hit its highest point since early 2008, aided by commodities, with roughly one quarter of the index composed of energy and materials companies. The WSJ Dollar Index, which tracks the U.S. currency against 16 others, was up 0.4% while the yield on the 10-year Treasury note inching up to 2.322%, according to Tradeweb, from 2.318% Monday. Yields move inversely to prices. Many investors were watching for speeches Tuesday from Federal Reserve Chairwoman Janet Yellen and the Fed’s new vice chairman for supervision, Randal Quarles, whose remarks could shed light on his views on banking-sector rules.